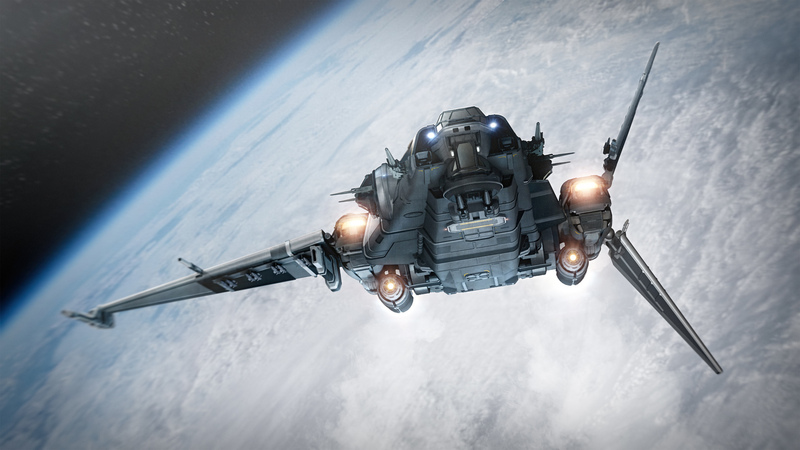 Looking for more information about the Drake Corsair? Now is your chance to ask! Post your questions in this thread and up-vote the ones you want to see answered the most. We’ll collect the top questions, present them to the developers, and post the answers in a Q&A Comm-Link soon. Post only ONE question at a time. Replies with more than one question will be removed. You may post as many questions as you’d like, as long as they are in individual replies to the OP. Only post replies to the OP. This is for easy voting and sorting of your questions. THIS THREAD IS NOT FOR CONVERSATION, NESTED OR OTHERWISE. Replies to submitted questions will be removed and thus not considered. You may (and should) vote on as many questions you want to see answered as you can. If I park the Cosair at a bunker, and leave two of my crew in the ship while I raid. How effective will the turrets be if another ship shows up and just hovers above them?